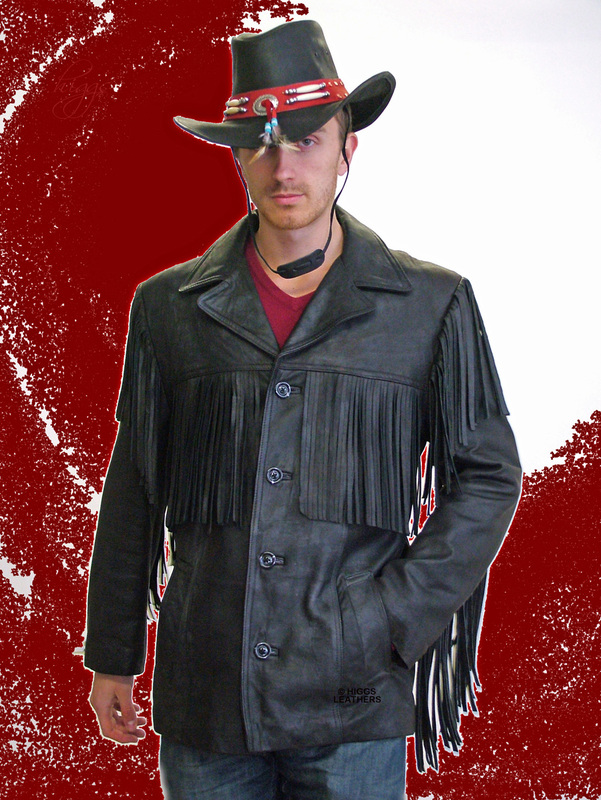 Mens extra soft Black Leather fringed Cowboy jackets made from Lamb Nappa skins. Long fringing detail on arms, shoulders and and both front and back yokes. Loose easy cut body and sleeves, rever collar. Two outer pockets plus two leather edged inner pockets (one with a zip). For the same style in Suede, please see our "Kit" style jackets on this page. Jacket length approx. 30" (76cm).